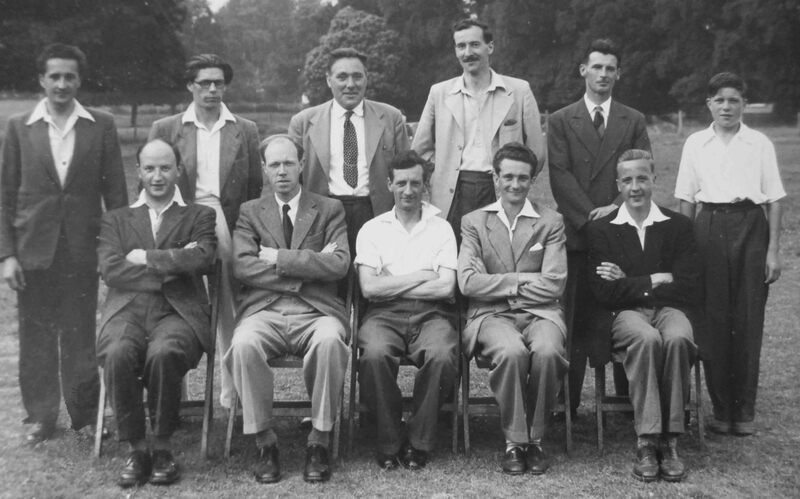 Cricket matches against local opposition were a regular feature at Fulmer and at one time Fulmer had its own cricket pitch in the field below the canteen, where the solar house eventually stood. With the construction of the solar house this facility was lost. 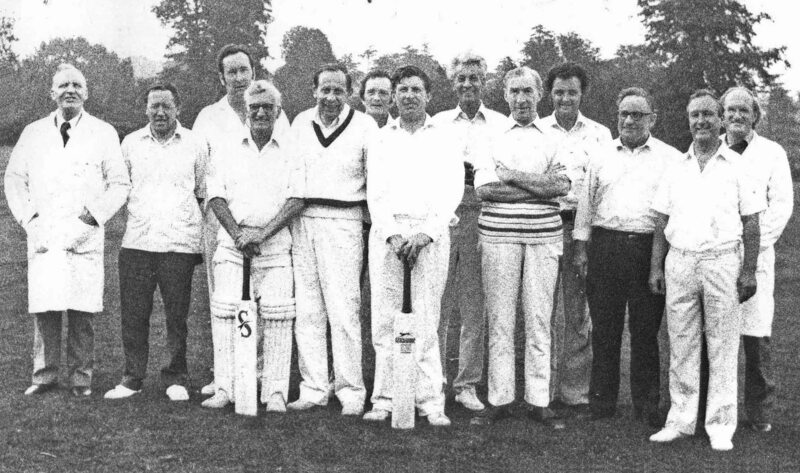 Richard Figg (sue Figg’s father) often umpired when Fulmer played Martin Baker’s (where Richard Figg worked) at their ground in Denham, but the ground at Stoke Poges Cricket Club is the likely location. Barry Bines was the regular scorer at these fixtures.The date of the above photograph is uncertain.